What a month it has been, with this year’s Domo City Tours events again bringing together global executives, standout customers, and a wealth of engaged professionals who are looking to challenge the way their organizations use data to truly impact how they operate, challenge, and make improved decisions. 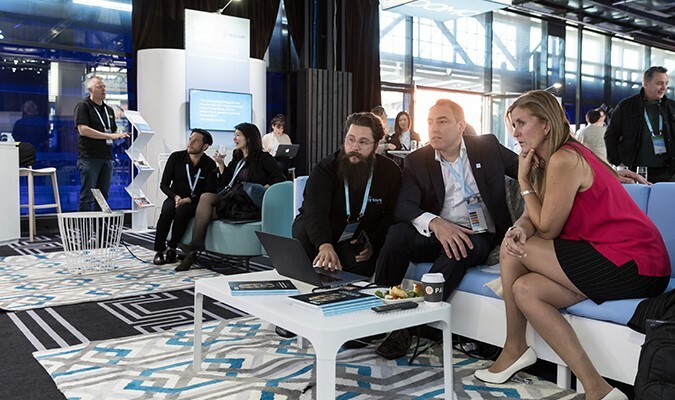 For the uninitiated, the events took place in Sydney and Melbourne, where we were lucky to hear the inspiring, challenging, and stimulating stories of customers, partners, and Domo leaders. 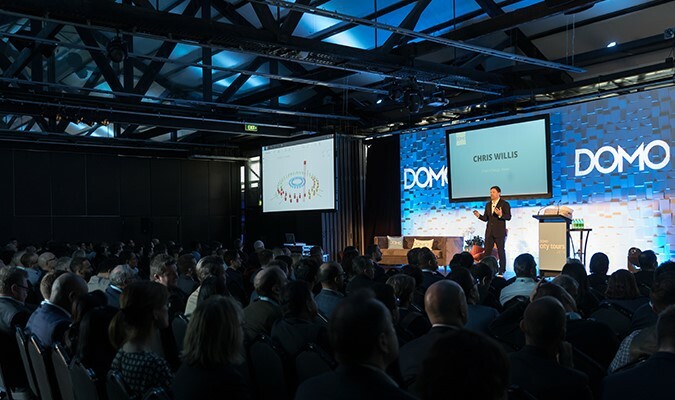 And what jam-packed days they were–we had over 450 people in attendance and heard from nine customers, eight Domo executives, and the fantastic Mykel Dixon. It was great to welcome the Hon. Victor Dominello (the New South Wales Minister for Finance, Services and Property), who is taking the The Government of New South Wales (NSW Government) to new digital heights and gave a real-time demonstration of the government’s Compulsory Third Party Green Slip program, including its stunning 98% positive rating–all measured in Domo. His energy kickstarted the day, as we went on to have many more conversations about how data is changing businesses and impacting the lives of Australians. 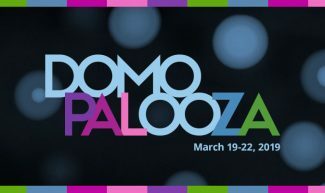 We were introduced to Domo’s ‘7 Samurai’ philosophy—which is like seven start-ups in a single platform to power all your data needs—as well as what’s next in the world of Domo. And we tackled the big question: What does ‘For the Good of the Company’ actually mean? To best answer this, I have to venture back to why it all began. Our founder, Josh James, was frustrated that he couldn’t obtain essential business data or information that his team needed to do their jobs well. When he looked around, he realized that his fellow executives faced the same problem: There was often this huge gap between the problem and the ideal resolution, yet people didn’t know what they needed to fix to get there. So the Domo platform was created to allow better access to data when you need it, wherever you need it. It was designed to help businesses answer their most important business questions. When harnessing data in this way, you’ll suddenly find people coming together more cohesively, with more clarity about what they have to do. Most important of all, you can begin making really profound decisions, where it really matters, to improve the lives of the communities and customers you serve. 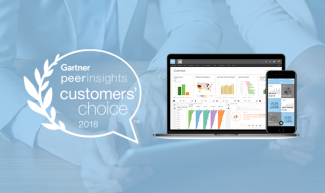 Domo has helped more than 1,600 customers reach those outcomes and transform their businesses for the better. While getting here wasn’t easy, with eight years of development and hundreds of millions of dollars, we saw at Domo City Tours that this has paid off and had a real impact on the businesses who have adopted the Domo platform. With traditional business intelligence, all the data gets stuck with 1% of people in a company—that’s your top management and data analysts, and the workforce gets a trickle of data. True organizational intelligence means that instead of receiving just the usual trickle of information, everyone in the organization has access to the data they need, when they need it. The key thing I have taken away from Domo City Tours is the energy and passion our customers, and future customers, have for leading this change. The opportunity is in front of us, right now, to embrace transformation, from the way we use data to the ways our companies operate and share intelligence. If we do, then reimagining the way forward can have an immeasurable impact on the good of the company, our teams, our customers, and our communities. Thank you to everyone who joined us this year, and I hope to see everyone in the audience next year—or better yet, on stage, sharing your business transformation journey.